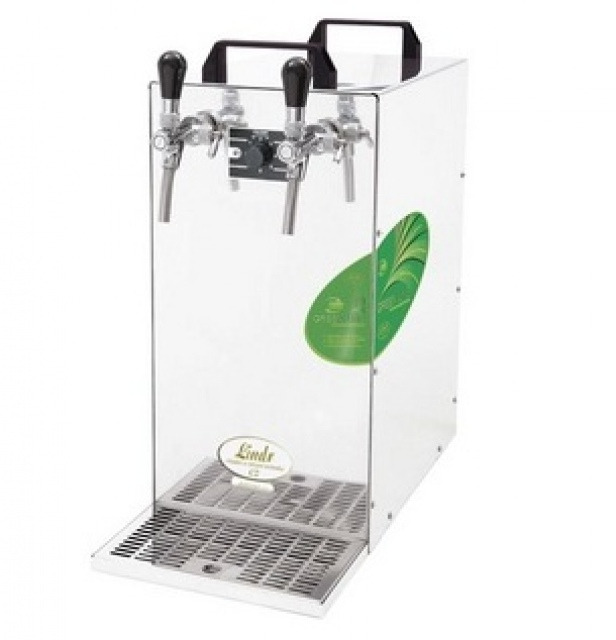 The beer cooler is equipped with stainless steel outside, 2 beer taps, adjustable temperature control with 7 different settings, drip tray and built-in air compressor. Chilled beer will be ready within 5-10 minutes after the cooler has been switched on. Green Line - made of fully recyclable materials, without any polyurethane insulation, 20% less energy consumption The KEG-head, CO2 reductor are optionals.